This is a map of the USA overlaid with an eagle. 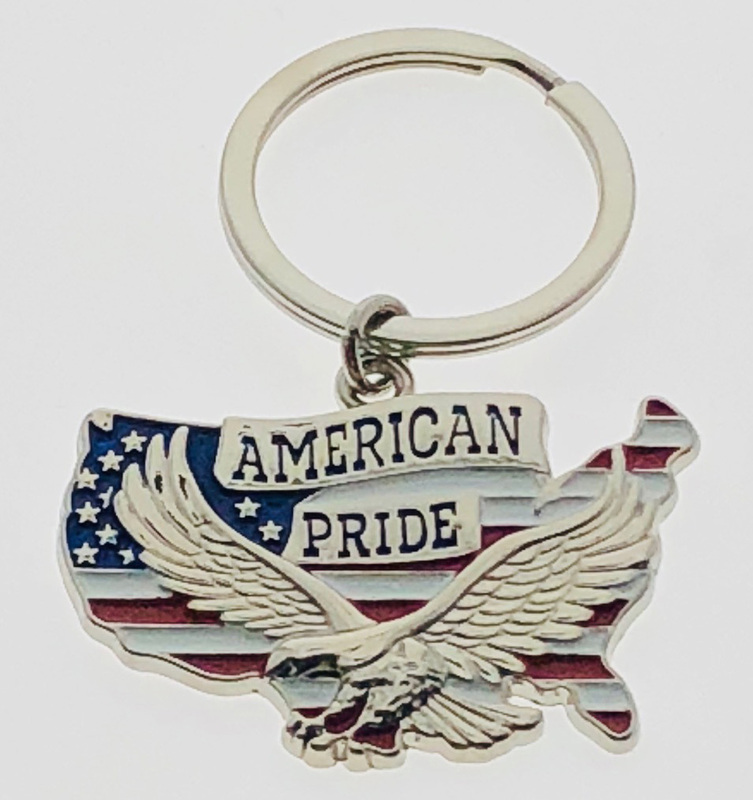 Each piece is made from zinc alloy, in nickel plated, and then soft enamel filled with RED, WHITE, and BLUE. These measure about 1 7/8" across by 1 1/8" high attached to a 1.25" flat split ring. Packaging is 12/Card but we also have bulk packaging available as well.